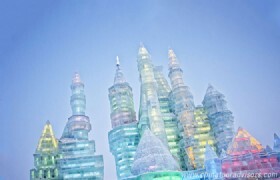 The weather in China is cold in January when can be said to be the coldest month in China. The average temperature is -5° C ~ 5 ° C in January. Large parts of China are at the peak of severe winter weather, except some cities in southern China such as Sanya, Beihai, Guangzhou, Fuzhou, Hong Kong, and Macau, where do not have very cold winter weather in January. Generally speaking, snow falls in some cities of northern China, such as Harbin, Changchun, Yinchuan, Hohhot, Beijing, Tianjin, etc. the snow usually accumulates to the thickest by the end of the month. There is still not much snow as northern area of China is dry. Although the temperature in central part of China and the Yangtze River Delta area is higher than that in northern China, it is bone-chilling and feels even colder because of the humidity. Southwest of China and Yunnan province generally have pleasant winter with plentiful sunshine, but high altitude areas in northern Yunnan Province are frigid. In northern China, warm clothes such as overcoats, long underwear and fleeces are recommended. While in central China, the temperature is around 0°C (32°F). Down jacket and wind-proof jacket are necessary. In south China, it is rather warm. Long sleeves and pants, and a wind-proof jacket are recommended. Thermals are often worn indoors on the coldest days, as there is usually no central heating in the South. 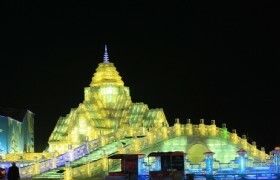 Harbin is one of recommended tourist places in January becuase of the Harbin Ice and Snow Festival and the nearby Yabuli Ski Resorts, which is one of China's best ski resorts. Travellers can also go to see the Saint Sophia Cathedral which is one of the few still standing Orthodox churches in Harbin, as well as the Harbin Central Street. Ski resorts have grown rapidly in recent years around Beijing, partly in response to the increasingly large expat community in the city. Today there are more than 10 ski resorts. One of the most famos ski resort in Beijing is the Nanshan Ski Resort. 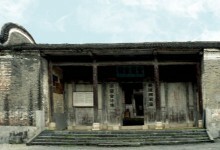 Tourists can also go to see the winter scenery of Great Wall, Hutong, Forbidden City, etc. Dali is not that cold in January like other cities of China, with the average temperature of 9 ºC. It is a great place to keep away from the hustle and bustle of the cities. People in Dali seem to live in an ideologically isolated world and they, keeping their traditional way of lifestyle. Many tourists love to stay in Dali's ancient town to explore the small alleys and enjoy cheap beer, pizzas and cappuccinos. Hainan Island is well-known to Chinese tourists and it is beginning to be known by foreign holiday makers for its sunny beaches and pleasant winter. For winter travelers, Hainan is not unlike Hawaii for US citizens; it serves as a tropical oasis to escape the frozen winter. 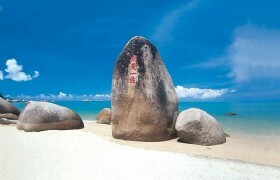 Go to see beaches in Hainan Sanya. 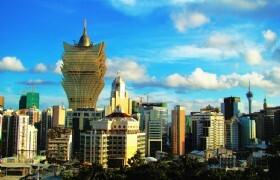 The weather in January in Sanya is very pleasant with no frost or snow. Various flowers are in full bloom all the year round. For years, Sanya has been a preferred resort for people living in northern and central China to keep away from the chilly winter.